Starbucks is always releasing so many cool limited edition drinks that we’ve completely lost track of which is our favourite. Instead of wishing for the Pumpkin Spice Latte that resurges in popularity around this time of the year every year, we can now enjoy a cup of hip cold brew, which if you ask us isdefinitely more suitable for our humid climate. Previously, Starbucks has experimented with nitro brews and icy cold foam, and this time it’s a refreshing cold brew infused with Cascara. 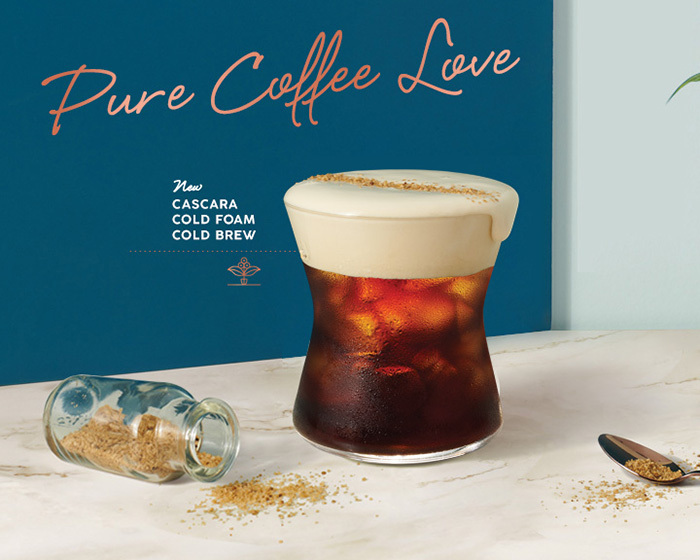 The Cascara Cold Foam Cold Brew is a smooth, sweet black coffee, served with Cascara foam. Coffee lovers seem to love brews that are more complicated, and you’ll definitely want to try this one! But what exactly is Cascara, and what’s so special about it? Cascara is the outer cask of the coffee cherry, and tastes nothing like the bitter coffee seed. Instead, Starbuck turns the husk into a syrup with a fruity, sweet taste that takes away the bitterness of cold brews. The Cascara Cold Brew also comes topped with a layer of sweet Cascara cold foam, making it a deliciously cold drink to beat the heat with. 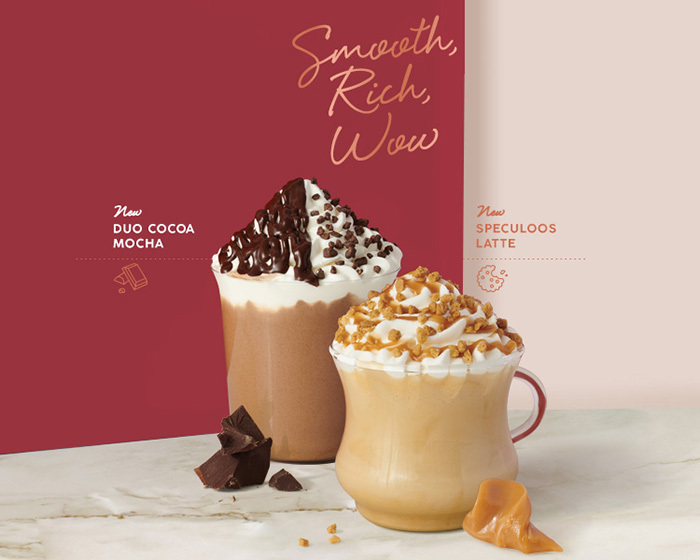 Other than the Cascara Cold Brew, Starbucks is also dropping two more chocolate-y drinks for those who prefer their coffees sweet. The Duo Cocoa Mocha Latte is a blend of coffee, dark and white chocolate, and topped with mocha syrup and chocolate covered cocoa nibs. The Speculoos Latte on the other hand is like a dessert in a cup; with caramel sauce, cinnamon spice and crunchy cookie crumbles. Both drinks come in hot, iced, and blended versions. 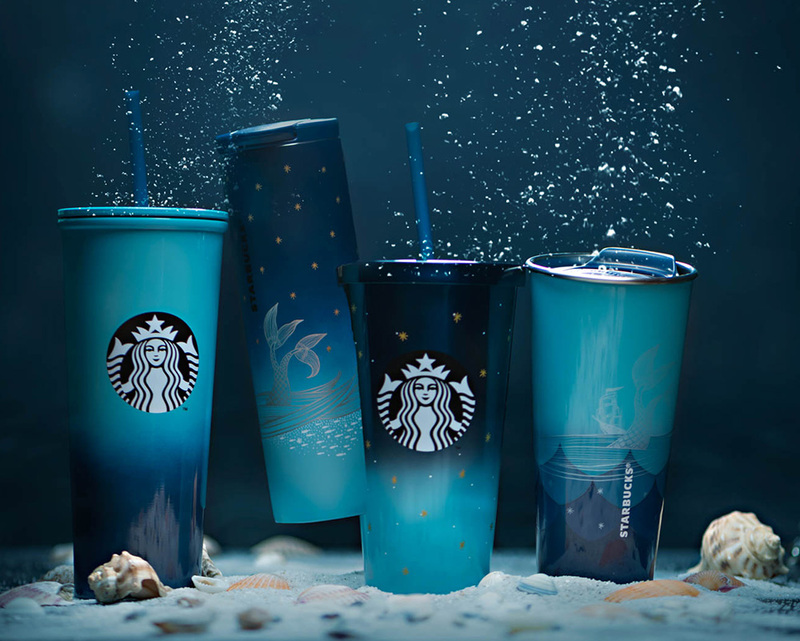 While you’re getting a cuppa, you might as well check out Starbucks’ latest Siren collection. In various shades of oceanic blue and mermaid, the ethereal collection is a whimsical nod to the mythical Siren. We know how tempting these tumblers are, but if you have too many tumblers sitting around at home, get a bottle or a notebook instead. There is even a whimsical plate decorated in mermaids – something that everyone would definitely need at home! 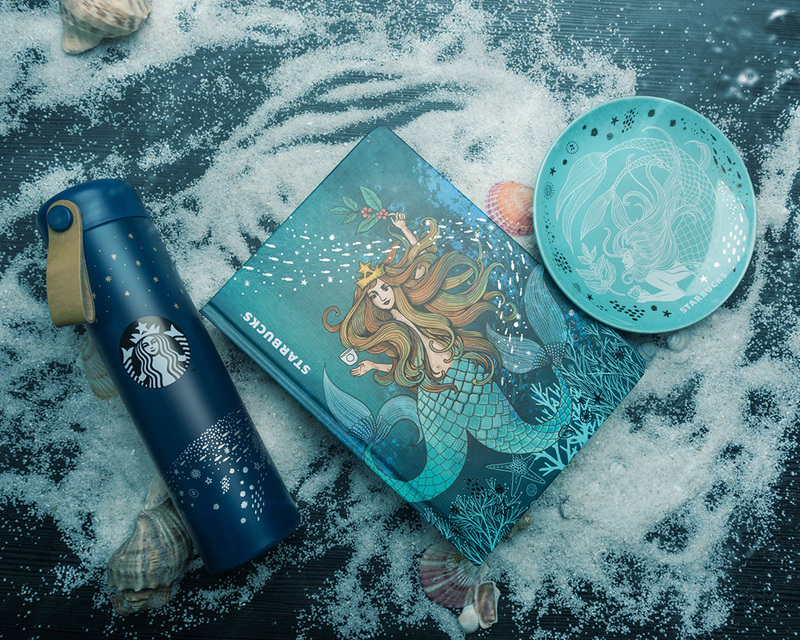 Making a return is the Starbucks Anniversary Blend, which comes in gorgeous under-the-sea packaging, in line with the Siren collection. Now you don’t have to worry about getting your Starbucks fix when you can make your own cup anytime! Even if you don’t have a coffee machine, you can get the ready brew sticks which only requires you to add water and you’re good to go. If you’re feeling a little atas, get the Origami Personal Drip Coffee version, which comes with a paper bag pre-filled with ground coffee. 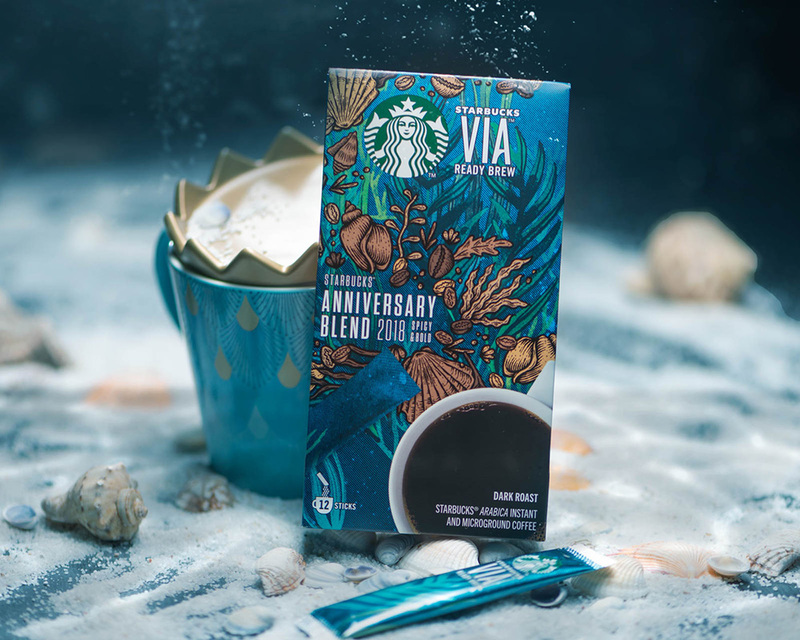 The new Starbucks drinks, the Siren Collection and the Starbucks Anniversary Blend is now available at Starbucks outlets.